You know the feeling…you’ve found a link to some great content you’d love to read or are looking for a particular page, maybe you even bookmarked it a while ago to read later? You click on the link and BAM! Before you can say ‘broken link’ you find yourself landing on a ‘404 Not Found’ page. It’s always such a let-down, isn’t it? So imagine what it feels like for people who are searching for your content? If you are not sure what a 404 error page is, it’s the one your visitors land on when either the original page no longer exists, isn’t in use or the link is broken. More often than not visitors will click away and search for what they are looking for elsewhere. In fact, when your visitors inadvertently land on a 404 page, it can be an ideal opportunity to show some creativity and flair to help ensure they stay on your website, and even convert them into loyal fans…right there and then. It’s certainly possible, especially if you do it right. And he is not afraid to admit it. I love this page because it apologises and refers you to his super useful blog posts in a nice, friendly way. There is a good reason why John refers to himself as the relentlessly helpful copywriter on LinkedIn. 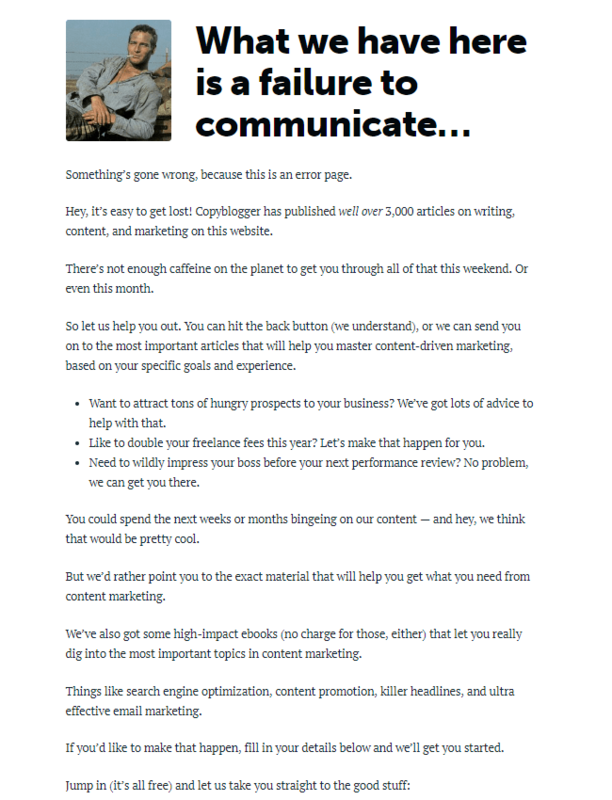 It’s no real surprise that the top site for content marketing on the internet has an absolutely terrific 404 page. Not only do you get a classy image of Paul Newman but you get some free training too. I am assuming without the hard-boiled eggs. Sprout Social take you one step beyond with their interstellar message. E.T. 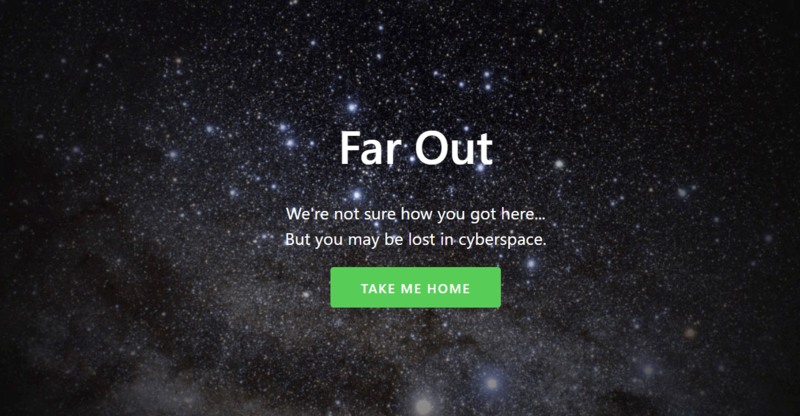 phone home…fortunately, that’s where it takes you too: back safely to the homepage. You don’t have to be a daredevil to have a kingpin of a 404 page…as Marvel proves beyond a doubt with their current page. You probably can’t get more ‘on brand’ than this…and I bet they change it more often than Black Widow changes into her costume too. It’s unlikely you’ll get stuck in a jam with Neil Patel’s offer to analyse your website and increase your traffic. Appealing, tempting…and also beautifully simple. No wonder he is the grand master of traffic conversion. You are not alone. 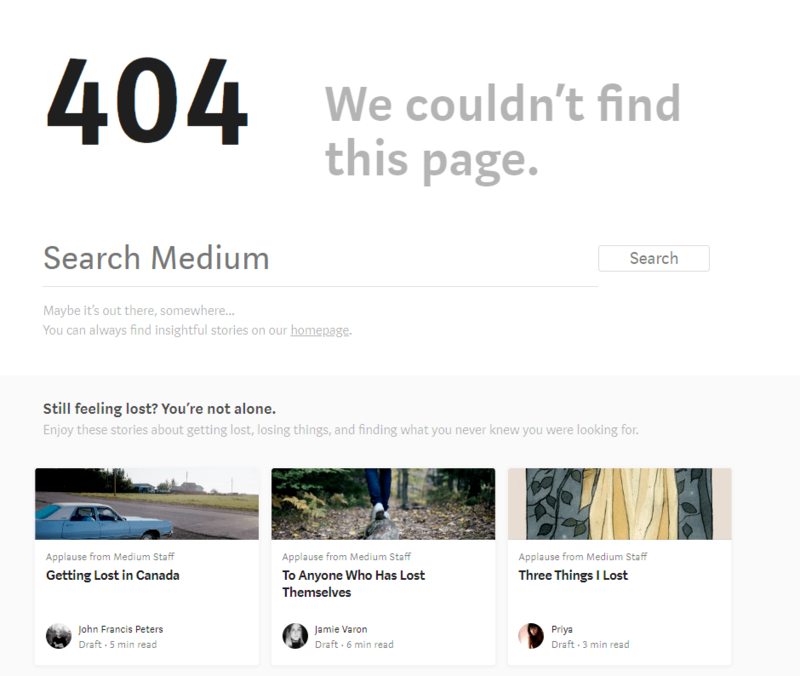 Medium never miss a chance to showcase their best content and their 404 page is no exception. 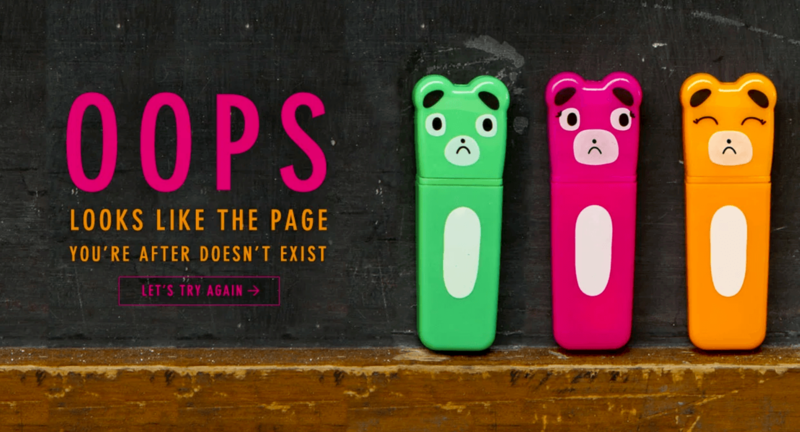 Paperchase’s 404 page is deliciously on brand and perfectly promotes their innovative chain. As soon as I saw it I just wanted to splurge out like crazy on all their sustainable stationery and oh so cute card selection. Yikes! Sealed with a GIF and nicely sign-posted for more digital marketing resources. 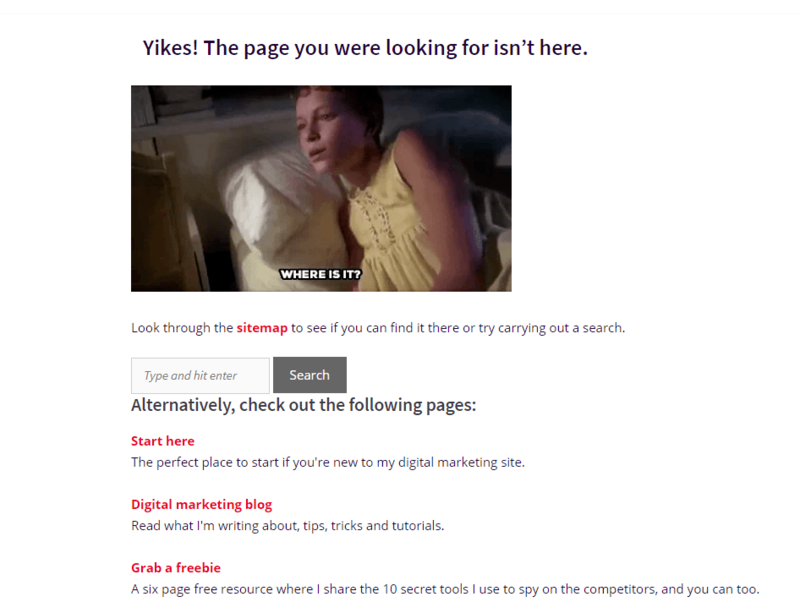 Tara-Tamiko’s 404 page will ensure your search does not turn into a scary horror movie. When I first visited Unsplash’s 404 page I was presented with a video of a bottle of Tommy Ketchup perched on a toy tank rolling about a table squirting sauce all over the place. The next time I checked it there was a cute kitten video. I am sure when you visit there’ll be something completely different too. Whatever you discover, I think they hit the spot with their originality. 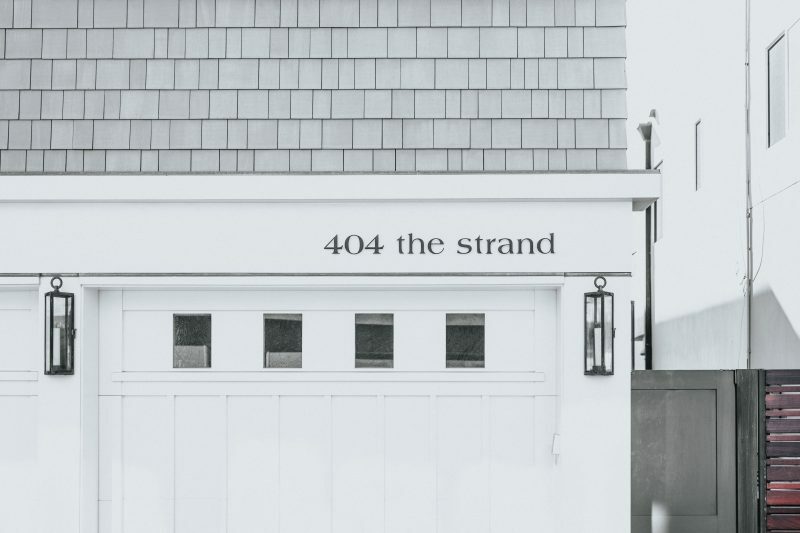 Whether you want to share step-by-step instructions as to what your visitors should do next, promote your latest blog post or attract your visitors with a totally ‘on brand’ call-￹to￹-action, the message is clear; don’t overlook your 404 page. It’s a great and underrated opportunity to entice otherwise ‘lost’ visitors. Oh yeah. I nearly forgot. You may be wondering…do we have a 404 page?…Of course we do…check it out here. 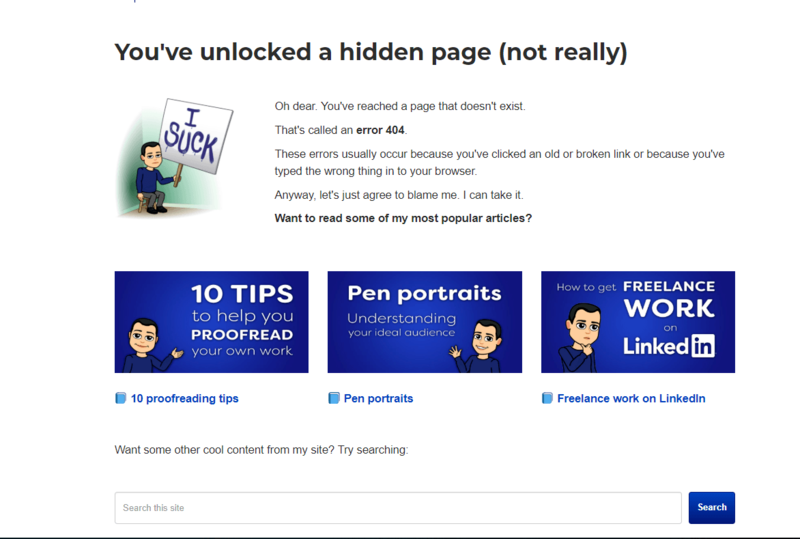 Want help with the copy for your 404 page? Get in touch. I’m sure we could help it ‘find’ a more productive purpose! 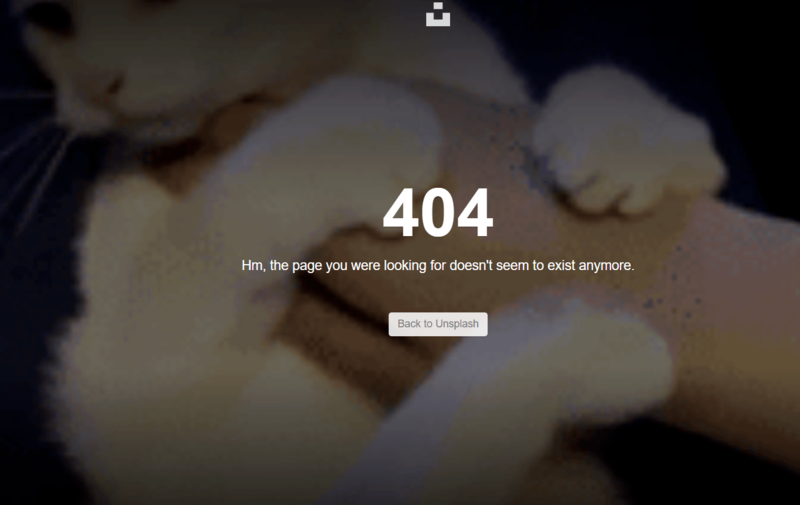 Do you have any examples of great 404 pages? Would love to see them. Share below!